Friday: J. Calvin, Stillhouse Junkies and iAM Music Students play a fundraiser for iAM Music, 7 p.m., $20/$25, The Rock Lounge, 111 E. 30th Street. Information: 799-7450. Saturday: Roots, folk, and rock with Jeff Plankenhorn, 7 p.m., $20, Red Scarf Studio Listening Room, 121 W. 32nd Street. Information: 759-8404. Musician Jeff Plankenhorn’s move from sideman to frontman was an inevitable step in his career. 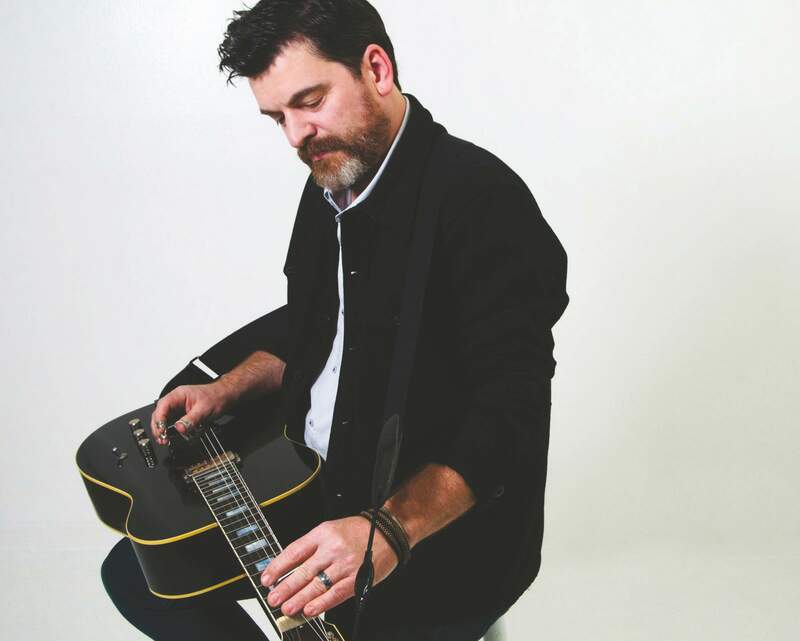 The Austin-based musician – who Joe Ely, Slaid Cleaves, Ruthie Foster, and Ray Wylie Hubbard, and others have called bandmate – is a commanding songwriter and soulful vocalist, skilled at penning rootsy Texas blues, bluegrass-inspired Americana, and some jangly roots. It’s a well-rounded cache of music, with influences that clearly stem from some great underground music. The multi-instrumentalist’s career kicked off as a stubborn Midwesterner kid from Ohio with a plan to learn as many instruments as he could. Back in 2000, he moved to Austin at the urging of Ray Wylie Hubbard, quickly getting work as a sideman, or session musician. He found himself playing dobro, an instrument he picked up while playing bluegrass in Nashville during the “O Brother Where Art Thou?” era. But, the dobro has its limitations, and Plankenhorn found he needed to be louder than he was in bluegrass bands. So, his love of pedal steel led to the invention of the plank, a lap-steel in the body of a dobro, which gave him the ability to plug in and play loudly. While his 2016 release, “SoulSlide,” explores the plank and connects the dots between his dobro and pedal steel influences, his 2018 release, “Sleeping Dogs,” bounces between folk rock, jangle pop, and music from The Paisley Underground. He recorded “Sleeping Dogs” near the time of Tom Petty’s death, which influenced the direction of the record. They’re songs of great lyrical and instrumental depth, and a show like the Durango performance, which he’ll play solo, will reveal that they can be just as impactful in stripped-down form. Plankenhorn is a fan of the listening room vibe, where the barrier between performer and patron is nonexistent. He takes none of this for granted. Performing his own music brought about the realization that he’s a lucky man. Jeff Plankenhorn will play a solo show in Durango on Saturday at the Red Scarf Studio Listening Room.